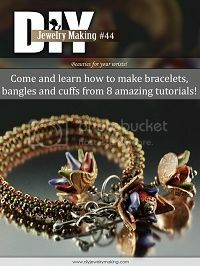 Full size photos and easy to follow instructions will guide you through all the steps required to make this fabulous bracelet. You will be able to download the PDF File once your payment is complete Choose the suggested white with silver beads or play with a variety of colors to suit your personality. or mood.